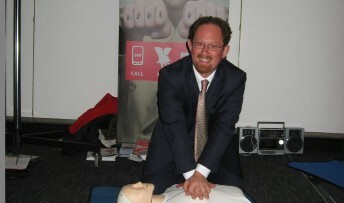 MP Julian Huppert brushed up on the life-saving skills he learnt as a St John Ambulance volunteer during a training session at the Liberal Democrat Conference. 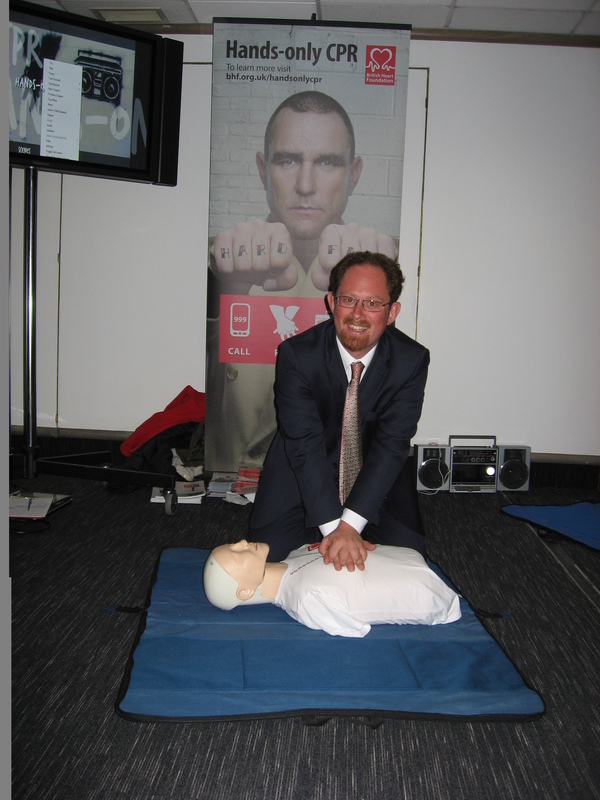 Julian joined other MPs to reinforce his support for a campaign by TV hardman, Vinnie Jones to teach hands-only CPR as an alternative to the kiss of life. He was invited to try the technique of giving chest compressions “hard and fast” at least 100 times each minute until professional help arrives. The campaign is run by the British Heart Foundation which set up the training at the Brighton conference. Vinnie Jones starred in a television advert to actively promote hands-only CPR and a training film recorded by the actor was shown at the conference. Julian said: “I learnt life-saving skills during my time with St John Ambulance and realised very quickly how important it is to act fast when a person collapses. It can literally mean the difference between life and death.